"Sampath Speaking" - the thoughts of an Insurer from Thiruvallikkeni: Pyeongchang Winter Olympics Opening Ceremony ~ and luge !! Pyeongchang Winter Olympics Opening Ceremony ~ and luge !! This Olympics features 102 events in 15 sports, making it the first Olympics to surpass 100 medal events. Four new disciplines in existing sports have been introduced to the programme in Pyeongchang, including big air snowboarding, mixed doubles curling, mass start speed skating, and mixed team alpine skiing. In case you are wondering, it is the 2018 Winter Olympics Games in Pyeongchang, South Korea are officially open. Yuna Kim, a South Korean figure skater who won gold at the 2010 Vancouver Olympics, ignited the Olympic cauldron for the Pyeongchang Winter Olympics on Friday night in a bitterly cold opening ceremony that highlighted Korean unity. 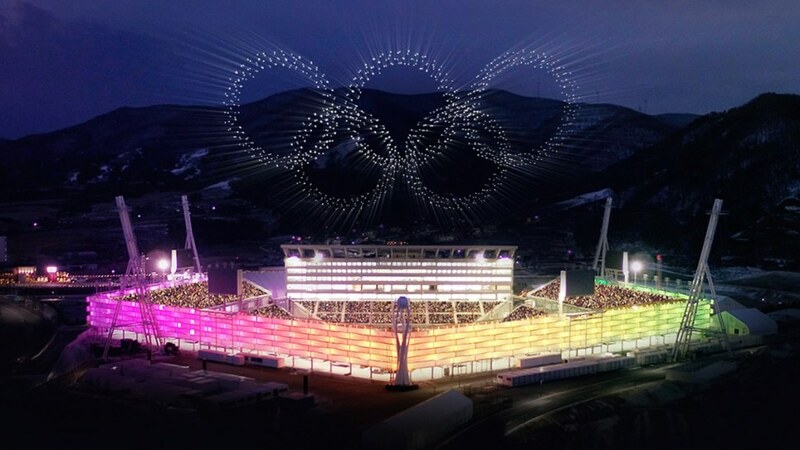 The colorful opening ceremony kicked off what will be the biggest Winter Olympic Games in history with more than 2,900 athletes from 92 countries competing -- including one shirtless Tongan cross-country skier, a women's bobsled team from Jamaica and 242 American athletes, the largest delegation in history for the U.S. at a Winter Olympics. Sadly, India does not have much in store as We are represented in two events only !! The 2018 Winter Olympics, ( XXIII Olympic Winter Games ) has started in Pyeongchang, South Korea. Pyeongchang was selected as the host city in July 2011, during the 123rd IOC Session in Durban, South Africa. It marks the first time that South Korea has hosted the Winter Olympics, and the second Olympics held in the country, the first being the 1988 Summer Olympics in Seoul. The lead-up to these Games were threatened by the ongoing tensions between South Korea and North Korea. Eventually the two countries agreed to march together during the opening ceremony and to field a unified women's hockey team. It is reported that younger South Koreans are less favorable toward reintegrating with the impoverished North. The backbone of any opening ceremony is the parade of nations. While there are always a diversity of outfits and glimpses of athletic stars, its sheer length can test even the most geographically fascinated fan. Though it is by alphabetical order, Norway and Netherlands were near the front because it’s alphabetically by the countries’ names in Korean. Star luger Shiva Keshavan once again did the honours of holding the national flag as the Indian contingent, including cross country skier Jagdish Singh, took part in opening ceremony of the Pyeongchang Winter Olympics. Shiva Keshavan is a five time Olympian and the first Indian representative to compete in luge at the Winter Olympic Games. He set a new Asian speed record at 134.3 km/h (83.5 mph) after beating the previous record of 131.9 km/h (82.0 mph) and won gold medal in Asia Cup 2011 at Nagano in Japan. In 2012, he set a new Asian track record at 49.590 seconds. He is the reigning Asian Champion. As the 2016 Rio de Janeiro Olympics proved, talented young gymnasts and wrestlers have had to struggle against the odds to represent India on the global stage, fighting for adequate funding and training. But when it comes to winter sports in a cricket-crazed country, the difficulties are almost overwhelming. Other than the luger, Cross-country skier Jagdish Singh is the other participant. Keshavan, Jagdish and chef-de-mission Harjinder Singh were among the six Indians who took part in the march past under sub-zero conditions in this South Korean resort town. All the members of the Indian contingent wore red track shirt and black trousers with grey hand gloves and an Himachali cap. 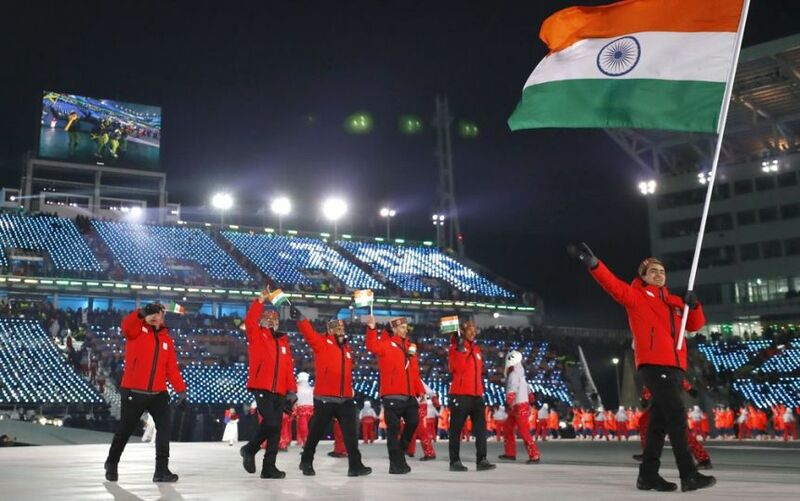 The 36-year-old Keshavan, who is taking part in his sixth and last Winter Olympics, was seen waving the tri-colour. Keshavan has held the Indian flag in all his earlier five Winter Olympics appearances either in the opening or closing ceremony. The 2014 edition was an exception as the Indian Olympic Association was under suspension. The Pistole Parabellum—or Parabellum-Pistole), commonly known in the United States as just Luger —is a toggle-locked recoil-operated semi-automatic pistol produced in several models and by several nations from 1898 to 1948. The design was first patented by Georg Luger as an improvement upon the Borchardt Automatic Pistol. The Luger is well known from its use by Germans during World War I and World War II. Because of its association with Nazi Germany, the pistol has been used in fictional works by many villainous characters over the past several decades. Hold on ! ~ this has nothing to do with the Winter Olympic sport. Luge is a winter sport where a competitor or two-person team rides a flat sled while lying supine (face up) and feet first. The sport is usually contested on a specially designed ice track that allows gravity to increase the sled's speed. The winner normally completes the route with the fastest overall time. It was first contested at the 1964 Winter Olympics, with both men's and women's events and a doubles event. Doubles is technically considered a mixed event, but it is almost always competed by a team of two men. Nearly all medal winners, except those from the Soviet Union, Russia, the United States and Latvia, are ethnic Germans.